Would you like to live each day surrounded by unsurpassed beauty and deeply connected to nature? Marie von Minden finds it hard to believe, but this has been her lifestyle for the last twelve years, and she wants to share it through her photography and stories. Marie von Minden was born and raised in Poland. She immigrated to Canada in 1982 and in 1999 she and her husband relocated to the United States. Like many Europeans, she was overwhelmed by the vastness and the beauty of North America, and she developed a passion for landscape photography. They began camping in the wilderness and connecting with nature on weekends and holidays, first in a tent and later in a cap-over camper. It was during those camping trips that a dream of full-time traveling and living in an RV evolved. In 2002 that dream became reality, and they have been traveling in a 34 foot Airstream trailer ever since. America’s National Parks continue to be one of their favorite places to visit. When Kristi Kay, a Cairn Terrier, joined them, the idea of a children’s book series about America’s National Parks as seen through Kristi Kay’s eyes grew as a natural extension of their lifestyle and love of nature. Through interactive adventure stories enhanced by photography selected from her vast photographic library, animation, sounds, videos, and unique graphics Marie hopes to express her gratitude for what has become her home and to help cultivate appreciation and stewardship of these precious resources. The author of the interactive Grand Canyon ebook for children takes her readers on an exciting journey as a lively little dog befriends a California condor and an Abert’s squirrel, and together they explore the canyon. Photography, interactivity, animation, audio, and video put this title very much in line with today’s trend towards digital and multimedia publications. Mysteries of the Grand Canyon - page samples from Kristi Kay Adventures on Vimeo. 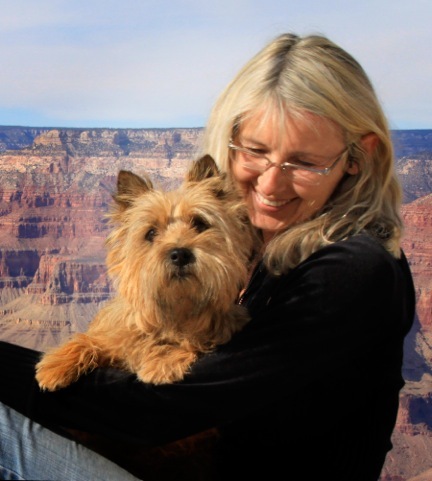 Join Kristi Kay, a Cairn Terrier, on the adventure of a lifetime and experience the Grand Canyon in a special way. Listen to the canyon’s sounds, watch brief video clips about life in the canyon, and discover opportunities for interaction on every page. The rhyming children’s story is fun and easy to read while the book’s interactivity enriches the journey. This unique glimpse of our national treasure will surely engage and entertain! The ‘read aloud’ option makes this book appropriate for younger children. For older children, however, a collection of links to on-line videos recorded by the National Park Service offers a more in depth experience. 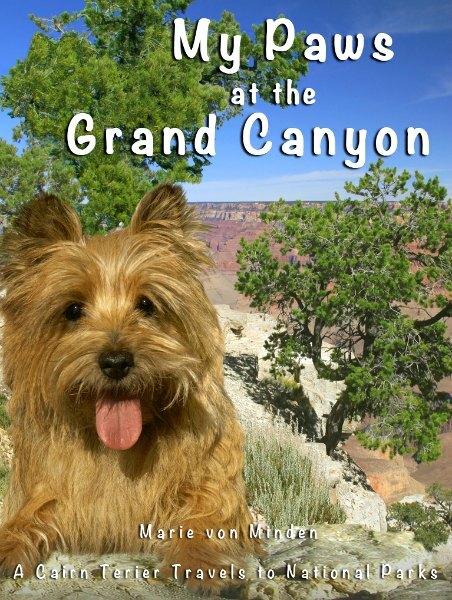 “My Paws in the Grand Canyon” is the second title in the A Cairn Terrier Travels to National Parks series, a series of adventure stories created toinspire appreciation and stewardship of our precious parks. The California condor is one of the rarest birds in the world. It is the largest land bird in North America. Its wingspan can reach 9 1/2 feet and it can weigh up to 25 pounds. The California condor is also a very endangered species that needs our help to survive. Tireless efforts by many organizations and hundreds of individuals and volunteers have resulted in saving these birds from the brink of extinction by bringing their number from 22 birds in 1982 to currently over 400.